Apple CEO Tim Cook has been sued in small claims court by Mark David Menacher, a California customer who is upset that Apple has forced download of the iOS 7 install file onto his devices with no way to remove it. 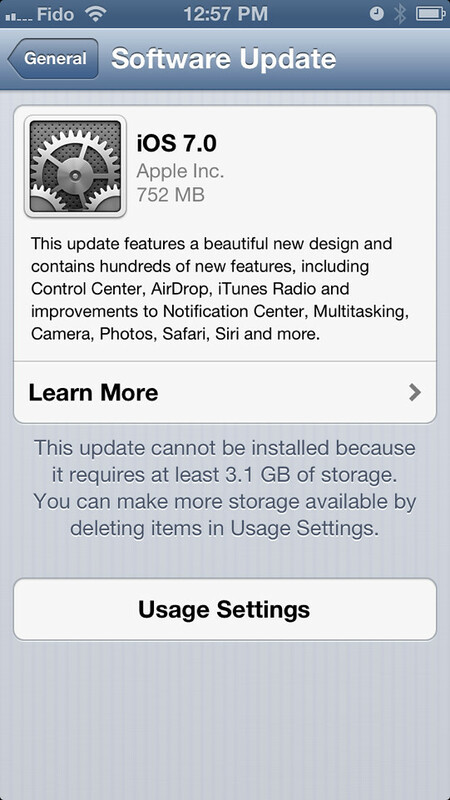 Menacher, like some others, does not like the new iOS 7 design and doesn't want to update to the new firmware version. The problem is, the automatically downloaded install file is taking a significant amount of space on his devices, and there is no way to delete it. "Apple's disregard for customer preferences in relation to iOS7 is corporate thuggery," Menacher said in a statement. "Steve Jobs was reportedly rough on company employees in pursuit of happy customers, but Tim Cook apparently cultivates a culture of contempt for customer satisfaction in pursuit of corporate profits. It is a policy that will eventually fail." Menacher told CNET he is "considering" escalating the issue to a higher court, and looking into class action status for the lawsuit. What do you think? Are you concerned by this as well? For those questioning this in the comments, Apple states in this knowledge base article that "Available updates download automatically if your device is connected to Wi-Fi and a power source."